Working in subway tunnels is difficult under any circumstances and when you have to maneuver around an electrified third rail in an environment with less lighting, the task is even more daunting. Now imagine what it is like during an emergency — a train with equipment issues, someone struck, or smoke in the tunnel — and you need to evacuate a vehicle packed with passengers. 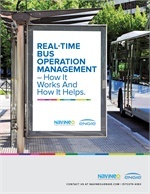 For transportation crews that work on the trains every day, their equipment familiarity is key to a safe, quick incident response. But what about fire and rescue personnel called to the scene of a crisis? 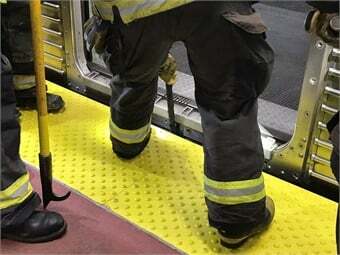 They are well-prepared to handle injuries and fires, but where do they access the tracks, hook up hoses, or open vehicle doors? 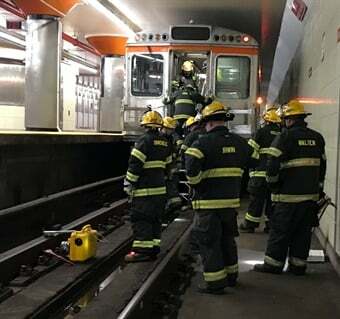 Every year, the Southeastern Pennsylvania Transportation Authority (SEPTA) partners with the Philadelphia Fire Department (PFD) on awareness training that allows firefighters and paramedics to practice their response procedures to an emergency on SEPTA’s Broad Street Line subway. 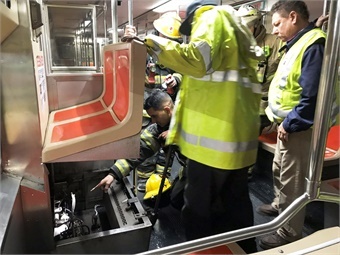 Over the course of a month, SEPTA System Safety officers conducted subway awareness training sessions for firefighters and medics whose stations have first alarm assignments to those locations. 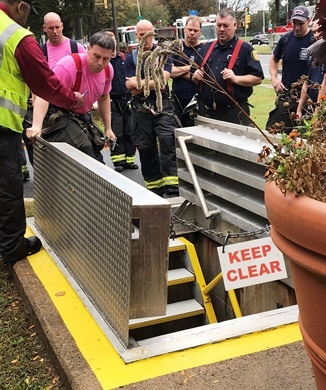 The exercises are designed as a refresher and to reach firefighters and paramedics that are new to the PFD or to firehouses near Broad Street Line stations. SEPTA representatives review the locations of alarms and hose hook-ups, the process for requesting third rail power shut off, how to open doors of trains that are disabled without power and evacuating passengers from a train, including reviewing the location of emergency exits from street level. SEPTA also supplies PFD firehouses located near subway stations with keys that open tunnel emergency exits and radios that provide a direct line of communication with Authority personnel during an emergency. The awareness exercises allowed SEPTA to ensure PFD has the correct tools and that they are functional. After the last session in mid-October, SEPTA had trained more than 400 PFD firefighters and medics in 2017.